From gas hobs to central heating, gas hot water to patio heaters. All Things Plumbing and Gas has got you covered. With the price of power ever rising, gas is quickly becoming a more sustainable option, and when installed by All Things Plumbing and Gas you are insuring your own safety and peace of mind that the job is done correctly and efficiently the first time around. We understand the serious safety issues that come with using gas, which is why we run ongoing up-skilling programmes and strictly adhere to the Gas Code Regulations. Sick of cooking on electric hobs? Sick of running out of hot water? Regardless of the area you live in, there is a gas solution for you. 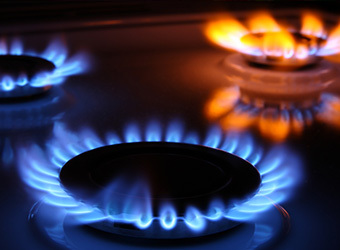 Weather the gas is supplied from the main town supply or via 45kg LPG bottles, we can arrange everything for you and have you converted to continuous flow hot water and fully controlled gas cooking in no time. Sick of living in a cold house? Say goodbye to huddling around the heater with a new Bravis central heating system installed by the team at All Things Plumbing and Gas. With vents in every room you get a nice even heat throughout the entire house in a matter of minutes. Winters have never felt so good!